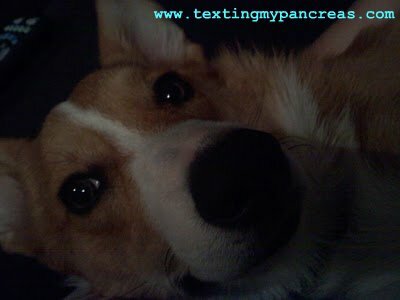 Texting My Pancreas: Wordless Wednesday: Happy. It seems that I can't stop posting pictures of my dog here. I'm sorry. I just.... I can't... I mean, LOOK AT HIS FACE. You can't say "no". But he is adorable. Even if you are becoming a dog lady. Your dog rules. That is all.